Tonika Johnson, Melissa Blount, and Essence McDowell work within diverse artistic practices (including photography, quilting, painting, and writing) to honor and center Black women’s voices and histories. At this Public Newsroom, inspired by Alice Walker’s writings on Black women’s creativity, these artists will discuss their work as embodiments of Black women’s intergenerational and unconventional creative practices. Find out how they are redefining connections between creative work and resistance to oppression, exploring the relationship between Black women and the archive, and monumentalizing Black women within our creative lineages. This discussion will be moderated by Kanyinsola Anifowoshe, who joined us at our 87th newsroom to talk about what young Chicagoans are doing to shape the city’s future. 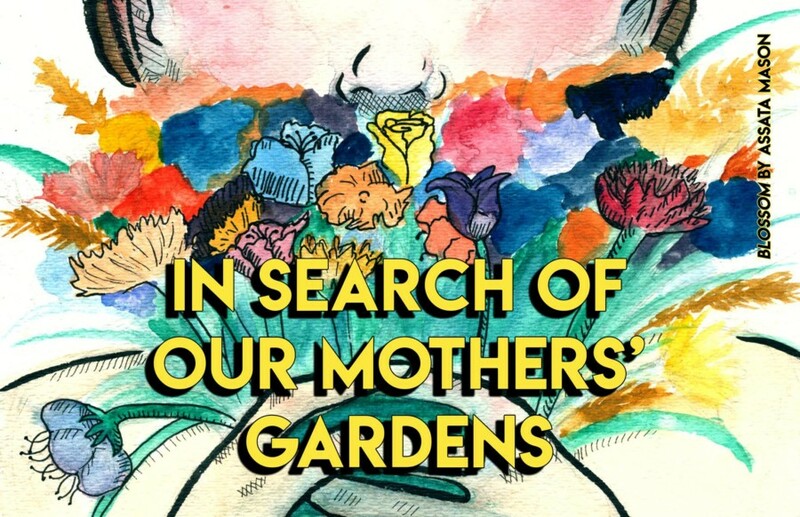 This Public Newsroom celebrates the opening of the In Search of Our Mothers’ Gardens exhibit, the culmination of a series exploring Black women’s creativity through the lens of Alice Walker, featuring workshops and programs led by artists Tonika Johnson, Melissa Blount, Essence McDowell, and Renata Cherlise.